We received several inserts in our box. The first gives instructions for how to access the Spotify playlist that goes along with this month’s theme. I thought the playlist was very relaxing and perfect for our theme of “Mama needs a spa day.” The second card gives a brief description of the items in our box including some web links for their sites. They also included a code for free shipping on your first box. So I have received eye masks in boxes and I have received hot/cold packs, but I have never received an eye pillow like this! The shape is perfect for your face and the weight of the rice, flax and french lavender inside feels so nice and relaxing on your eyes. You can heat this up in the microwave or freeze it for a cooling effect. The smell is very subtle and while I can smell it when I put my nose to it, it is not too noticeable when I have it on my eyes. I really love the cute fabric on the front and of course, the velvety brown fabric is super soft and comfortable. This is a great start to our spa day! This cupcake bath bomb looks incredibly realistic! The detail on this is so cute and pretty amazing! The vanilla scent is not too overpowering and smells delicious. The base is made of fizzy Epsom salt while the top is a handmade sugar scrub. I haven’t used it yet, but the base is meant to fizz and soften your bath water while the sugar scrub will dissolve more slowly and can be used as a foot scrub. How unique! What spa day would be complete without a nice cup of tea? I opted to try the Jasmine Gold and it was so delicious! You can see there are nice large pieces of herbs in the bag, including some whole flowers. The jasmine flavor was strong and was balanced out by the bitterness of the green tea. It was definitely enjoyable and soothing. For the facial aspect of our spa day, we received this adorable jar of Sea Clay in Lavender with Jasmine. This mask smells just like a spa! The fresh herbal scent with the lavender, jasmine, and maybe a hint of pine put me into instant relaxation mode! They recommend painting this onto your face with a makeup brush, but I just used my fingers. I was able to cover my entire face evenly and there is still enough in the jar for a few more facials! I left mine on for a lot longer than the 15 minutes they recommended, but it was incredibly gentle and left my face feeling super smooth. I was a little worried it would be dry after use, but luckily I was able to use the next product to ensure that didn’t happen! Here is a closeup of that little wooden butterfly on top of the jar. Such a pretty presentation for a handcrafted item like this! This soothing cream was so moisturizing! I applied it after my mask before bed and woke up to soft, supple skin! It is a thicker cream, but it absorbs so completely that I didn’t mind using it in the morning before my makeup, which is something I’m a bit picky about. This formula is free of parabens, phthalates, synthetic dyes, and triclosan, and is designed to help with reddened or rosacea-prone skin. I didn’t notice any real color correcting from this sample, but my skin did have a nice glow to it! I love that it contains SPF 30 since I always make sure my face moisturizer contains some sort of SPF. I was disappointed to see that it wasn’t quite in my budget, but it made me appreciate my sample a bit more. I think I can squeeze a third application out if I try hard enough! I love the simple design of this label! The lavender and sweet orange are a nice combination and while this looks like a coarse scrub, the oils in it helped to soften it a bit and left my skin feeling soft and smooth. I love all of these handcrafted products we received for our at-home spa day! This natural scrub contains organic cane sugar, apricot kernel oil, and vitamin E and in addition to being good for you, Freedom Soaps’ luxurious, natural products are also good for the environment. This next item goes along with our sugar scrub and I am so glad that they mentioned this on the card because I never would have thought to use this with it, but they are a complete game-changer! By using these gloves that have a very light exfoliation, I was able to apply the sugar scrub much easier than with a loofah or my bare hands since this seemed to grip the sugar granules better. I think that these gloves really helped me get the most out of my scrub and I’m excited to have these to use with all the other scrubs I own! It was like when you get a pedicure and they scrub your legs, the gloves almost trick you into thinking you’re being pampered at a salon. I do want to note that one of mine was slightly discolored, but I didn’t have any concerns about the quality since they looked brand new otherwise. This last item is a great way to continue that zen-like feeling you might achieve after your much-needed spa day. This oil diffuser bracelet came packaged up so nicely and even included a sample of essential oil, a coupon code for 20% off and a use and care guide, all of which made this item feel so special. The bracelet itself is a nice soft brown leather that is braided. It is skinny and long so that you can wear it as more of a wrap bracelet, which is a fun style! I love the copper/bronze chain that complements it so well and also features several loops so that you can adjust it easily to fit your wrist. As for our oil sample, we received grapefruit which is one of my favorites! This can induce positive feelings of hope, relieve depression or mental fatigue, and even increase focus which are all important for a healthy mama! Here is the bracelet on. It is super lightweight and comfortable. I have even been wearing it to sleep in and I haven’t even noticed that I have it on. I also like the simple, boho style that can really go with any outfit. They have some really cute Mommy & Me sets on their site and even some Princess style bracelets that I think I might have to use my 20% off coupon for! Verdict: I thought this Mama Needs Box had a great theme and the curation of the items in the box was both thoughtful and unique. I love this new trend of boxes that are encouraging mamas to take care of themselves! Mamas helping mamas is a fantastic thing because it really does take a village, whether it’s your girlfriends or the delivery of a great subscription box like this, they can all help get us through the tough, long days! I enjoyed taking the time out to pamper myself just a bit, even though it wasn’t a complete spa day for me, but rather stolen moments, it still helped to relax me and give me some much-needed mommy time! I am estimating the total retail value to be about $46.86, which is almost breaking even for a $45.99 ($39.99 + $6 shipping) box. While the retail value is not much higher than the cost of the box, I do think there is some value in this nice curation, the Spotify playlist and the inclusion of self-care tips that serve as a great reminder for mama to take some time for herself! Can you still get this box if you sign up today? March is currently sold out, but April boxes will be available until 3/31! Value Breakdown: At $39.99 + $6 shipping for this box that means each of the 7 items has an average value of approximately $6.57 each. Check out the best subscription boxes for moms in 2019! Not tempting enough in the value department for me. The samples are very small and don’t think I’d use the sleep mask or gloves. I’ll pass. I almost didn’t look at this review because of the name of the box, but this looks more like a general beauty and lifestyle box, which surprised me! Nice inclusion of some indie products. That being said, my boyfriend would sure look sideways at me if this showed up on our doorstep, lol! Same. Every box that has anything to do with motherhood in the title usually gets passed over. I think this looks lovely! I got the first month of Mama Needs and looooved it!! So glad to read that Julie!! I would be sad if I got this box. I can’t do lavender and I want more value for my money. Samw. I’m allergic to lavender – is it an unwritten rule that all ‘relax’ themed things must be lavender? The Margot Elena eye pillow I was so excited to get turned out to be lavender as well. More importantly though, as a busy mom I do not get *time* to pamper myself – it’s not an issue of not having the stuff or not ‘remembering’ to. :S So the exfoliating gloves would be a good thing, because they save time and mess. But a 15 minute mask is a no go right now for me – I look for ones that only take 5-10 minute since about half the time I take a bath a little girl come sin to tell me she has a poopy diaper 😉 A sub that can keep the time factor in mind – fast acting skincare and time saving items, would be pretty cool. Although that cupcake bath fizzy is adorable. I wouldn’t mind a few of those!! Did they give you a coupon for free shipping on your first box….in your first box? Hi Amber, I’m the owner of Mama Needs Box :). I sent the box to Brandi for free in exchange for this review so she did not pay for the box or for shipping. 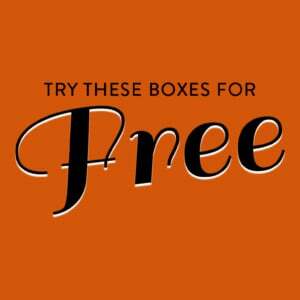 When I send free boxes to anyone I include a coupon for free shipping in case they ever want to buy one for themselves or someone else. Thanks! You should offer a coupon for new subs! Would love to try this one! I’ll keep an eye on it for sure! nevermind. I misread that. I see there is a free shipping code above. Thank you!